Mount Sinai Manhattan Heart (New York) - Book Appointment Online! 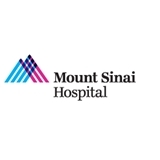 Mount Sinai Manhattan Heart is a medical group focused on serving the cardiac needs of our patients. Utilizing state of the art technology coupled with compassionate, seasoned and energetic physicians, we are dedicated to exceeding your expectations. We offer a full complement of non-invasive cardiac services including consultations, imaging and non-imaging stress testing as well as cardiac and vascular ultrasound. Great choice, she was very attentive and detailed. Her staff was very nice and informative. Will highly recommend. One of the best doctors and staffs you'll find. Excellent doctor. Waited too long to be seen. Not the first time I have seen Dr DuBois. He has done my pre- surgery cardio testing on 2 previous occasions and is extremely professional, kind & compassionate. The office staff are very efficient & friendly. No wait time - I was seen immediately. I highly recommend Dr DuBois if a cardiologist is needed.